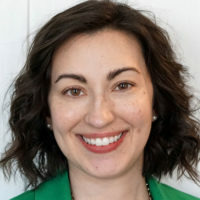 Nichole Altmix is the New York City Department of Transportation’s Executive Director of Planning for the Pedestrian Ramp Program, a new unit dedicated to evaluating, planning, designing and constructing compliant pedestrian ramps citywide. Prior to building this new team, Nichole managed the activities of the teams responsible for safety improvement projects, strategic planning, traffic engineering, curb management and geometric design and construction. She has significant experience in bicycle and pedestrian planning, traffic calming treatments as well asintersection and corridor redesign. She developed and implemented complex and innovative projects, such as Queens Boulevard, and continues to work closely with communities on safety, mobility and accessibility enhancements for all road users. She has been with NYCDOT since 2010.